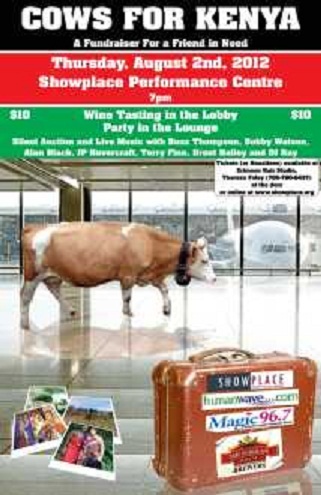 A Canadian group has organized a fundraiser on Thursday, 2nd August at Showplace Performance Centre in Peterborough, Canada for a Kenyan cattle herder who is devastated after losing his herd to drought and a pride of lions. Maasai herder, Nkaisunki Siolo lost many of his cows to drought last year and a few weeks ago, mystery struck again, when a pride of lions claimed six of his remaining eight cows. 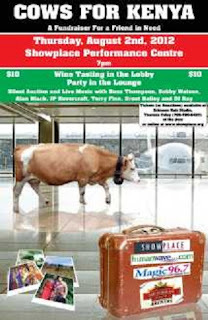 The Cows for Kenya event will include a wine tasting with piano music by Terry Finn, and live performances by Buzz Thompson, Alan Black, Bobby Watson, Brent Bailey, and J.P. Hovercraft. Tickets go for $10 each and can be purchased through the Showplace box office.